Very helpful getting in places. I wish I was there for longer to get more use out of it. the pass got me in with no problems and cut through the lines. A good investment, just plan realistically how many museums you will be seeing. Was useful at Versailles to see the smaller homes of the king and Maria Antoinette and the grand canal located further away from the chateau. Cz of the distance I bought the mini tram ride ticket for 8euros but once I got there my pass just whisked me in while others were paying for entrance. Be sure you will be seeing several museums or need the quick entrance. We went in November and I think we at least broke even. I do recommend this. I definitely recommend the Museum Pass, it worth every spent. The lines to buy tickets are ridiculous, specially considering that you also have to make mandatory security checkup lines We visit many museums and save valuable time and we did not stand under heat or rain. the best way to sightsee. This pass was fantastic. We were able to bypass most lines, which was awesome. We got our money's worth by planning ahead and visiting a few things every day. Highly recommend especially if you are short on time. A lot of museums included and skip the line at a lot of them. I highly recommend getting the pass. It saved us a lot of time in getting in to the major museums.Some of the lines to purchase daily tickets get extremely long. This pass was WORTH every penny! 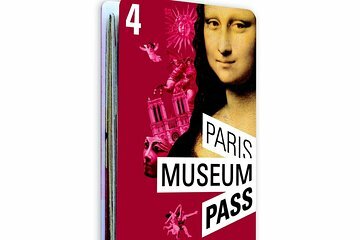 Not only did we hit every major Museum Louvre, D'Orsay, Rhodan, L'Orangerie but we also saw a lot of the churches and the Arc de Triomphe with this pass. It paid for itself and then some! Great bargain... highly recommend if you are going to pack in a lot of things in a few days!